Blue Moon Enterprises is a locally owned, family operated company specializing in grounds maintenance and landscape design for commercial and residential properties. Blue Moon Enterprises was founded in 1994 and began as a small company with one part-time employee, and some small maintenance customers. Blue Moon Enterprises handles a significant number of great customers. We stress quality, dependability, and a professional image. 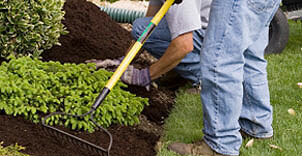 Our goal is to provide the best grounds maintenance and landscaping services that our customers desire. Each year we strive for excellence by providing only the highest quality service and workmanship at a reasonable cost. We combine experienced landscape planning and art to design landscape masterpieces that are the envy of the neighborhood. 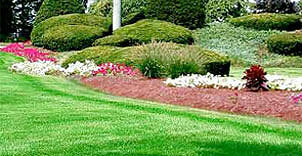 Choose us for your next landscape design & installation. Extend your home to the outdoors with a spacious patio or retaining wall. 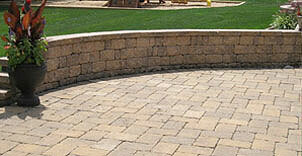 Let Blue Moon Enterprises make your dream outdoor living space come true! We look forward to hearing from you. Please contact us today.